MBA internship is considered as a perfect gateway to a permanent job in your desired field of work or company. Even an MBA degree earned from one of the best B-schools assumes less importance if an MBA graduate cannot find application of the skills learnt during the course. It is where an MBA internship plays a crucial role in giving you the required industry work exposure and gives a first-hand experience for a permanent job. With internship programs becoming common in almost all professional courses, students pursuing an MBA program get an opportunity to develop productive skills in the form of MBA internships. Summer is mostly that time of the year when every MBA student starts venturing for internship. For them, it is like a rehearsal of entering into the job market. Moreover, internship is the time to earn quick cash in the second year of your MBA in the form of stipend. Internship programs are meant to develop skills and prepare you for the competitive corporate world. Hence, it is vital to know few important things to utilize this internship time in the best possible manner. MBA programs require students to take few months of internships where they work on a particular project and give presentation. Choose your research topic after proper analysis and complete your assignment within the allotted time. During the duration, all other assignments given by the company should be taken seriously. MBA internship offers an excellent opportunity to gain knowledge in different areas of work. Moreover, your selection of an organization for internship decides how much you learn in your area of specialization. For instance, if you are pursuing MBA in finance and planning a career in banking, then finding an internship opportunity at a reputed bank creates an ideal platform to learn different aspects of banking, such as customer interaction, handling financial transactions, and investment banking. This allows an intern to apply skills developed during the MBA course. Hence, in order to add value to your learning experience, an MBA intern should be ready to take up different tasks apart from a specific project. 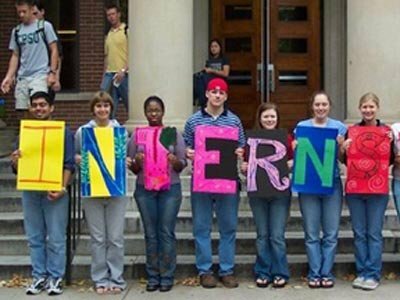 Strengthening social network is a bonus offered during internship programs. This allows you to build contact with professionals and other interns to know about more job opportunities in various organizations. Moreover, expanding your network also helps to learn from your colleagues. Consulting firms and banks are known to absorb many deserving interns as their full-time employees. Many times interns make a common mistake of handling a project without seeking the required guidance of their supervisors. If you want to proceed with the project of your own, it is good; however, you should not forget to take mid-point evaluation from your supervisor. Positive thinking helps you to remain open minded and learn things from others at work. Take this time as a perfect opportunity to ask questions you do not know, work hard, and behave like a regular employee. A smile on your face and a positive attitude reflects that you are a person who can be referred for permanent job in the any the same or any other company. Remember, internship is the time when you are being assessed by an employer. Hence, it is important to demonstrate your potential and utilize the internship time. It gives the very first exposure and idea of work culture that you will be soon witnessing in the later years of your career. So, are you ready to take the internship advantage? Swati Srivastava, an MBA graduate, is a successful writer and blogger who loves to pen down her thoughts and ideas on a wide range of educational topics. Follow her on Google+.